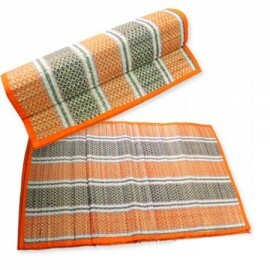 Hand woven mats from 100% natural Kusha grass,these mats are ideal as seats while doing rituals,medi..
Kusha Aaasan is 100% natural Kusha grass balancing the root chakra.it is ideal for use during Yoga, ..
100% natural Kusha grass balancing the root chakra. 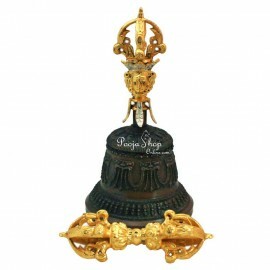 it is ideal for use during Yoga, meditation, bea..
Kusha Aasan is considered highly sacred. 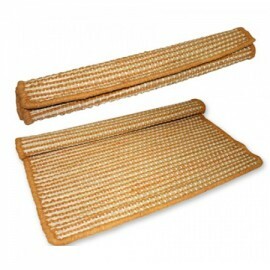 Sages often sit on Kusha grass mats when they do their..
100% natural Kusha grass Eco friendly and washable for balancing the root chakra. 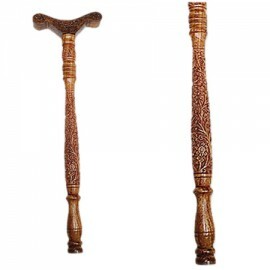 it is ideal f..
Dhyana or Meditation Stick is a very practical massage tool, especially on those hard to reach spots..
A four fold Kusha Mat ideal for laying down on religious gatherings. 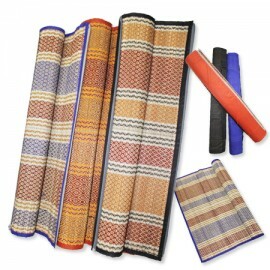 Kusha grass is considered hi..
World's best four kusha mat, enviroment freindly yoga mat, non plastic eco freindly no rubber and&nb.. 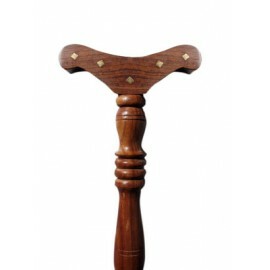 Exclusive design, only 1 piece available. 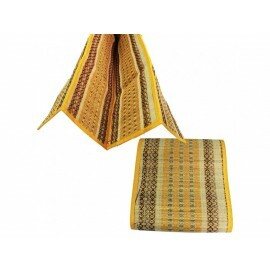 Hand-woven mat made of 5 mukhi rudraksha beads of Indon.. 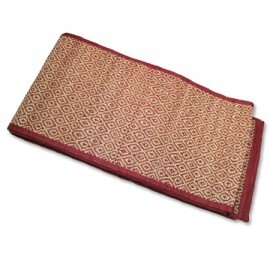 The Vajra is the quintessential symbol of Vajrayana Buddhism, which derives its name from the vajra ..
Handcrafted mat from natural grass (Kusha grass). 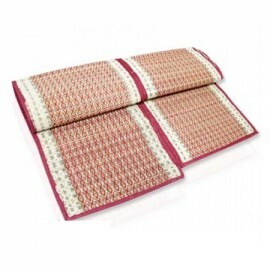 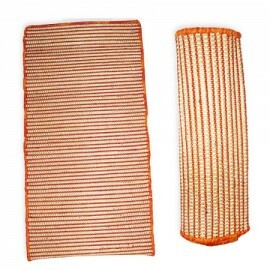 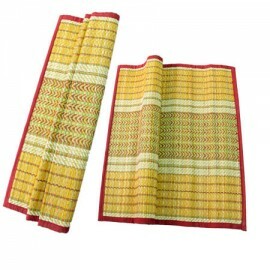 Traditional hand weaving technique ..
Hand woven mats from Darbha grass,these mats are ideal as seats while doing rituals,meditatio..
Yoga danda is used to create a balance between Ida nadi (mental energy) and Pingala nadi (physical e..